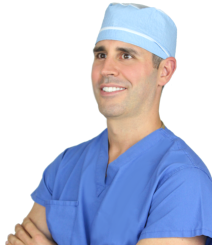 "I had the best experience and best results with Dr. Louis and his staff. 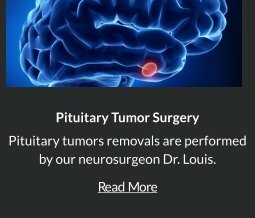 Dr. Louis is the most caring, thoughtful, considerate Neurosurgeon. He takes a ‘patient first’ approach to care, providing sophisticated treatments based on the unique needs of each individual. I recommend him highly!" Watch Dr. Louis’ LIVE presentation at the The Patient Engagement & Experience Summit. 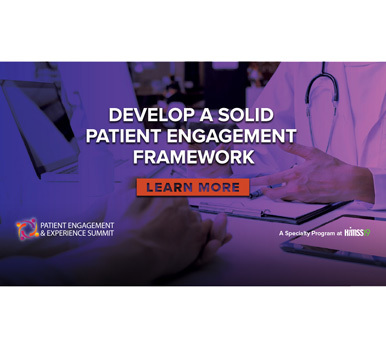 The Patient Engagement & Experience Summit brings healthcare decision-makers, clinicians, and IT pros together for a deep-dive on how technology is helping to improve patient care through patient satisfaction, empowerment, engagement and experiences. Join us at Mount Sinai Hospital, December 8 & 9, 2018. 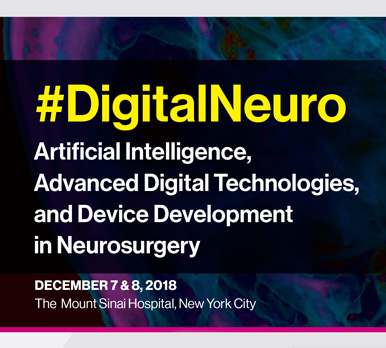 This symposium will cover the breadth of digital neurosurgery from Artificial Intelligence to Extended Reality and beyond. 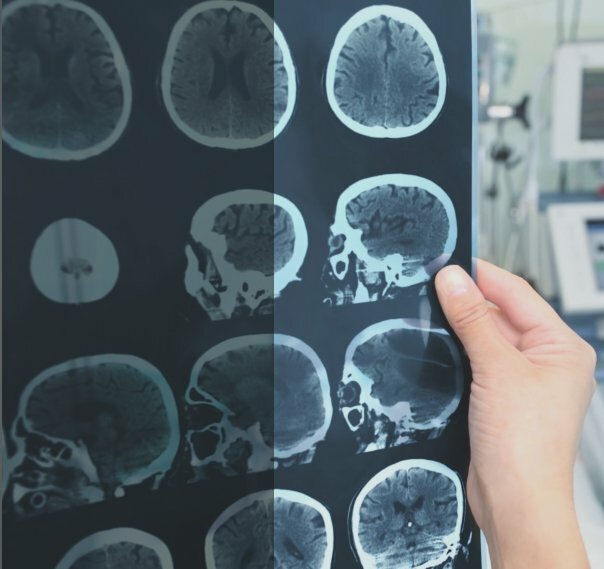 The unique collection of world renowned faculty will discuss and demonstrate the utilization of advanced technologies in clinical practice and how they can be applied to deliver better outcomes for our patients. 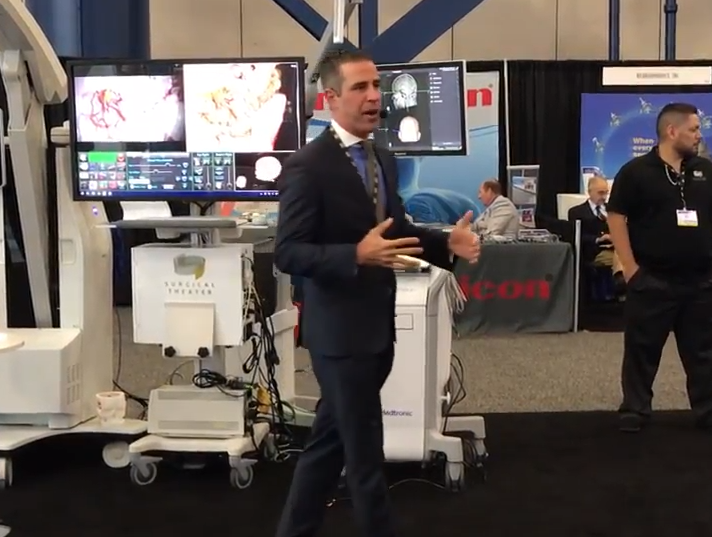 Watch Dr. Louis’ LIVE presentation at the 2018 CNS conference. 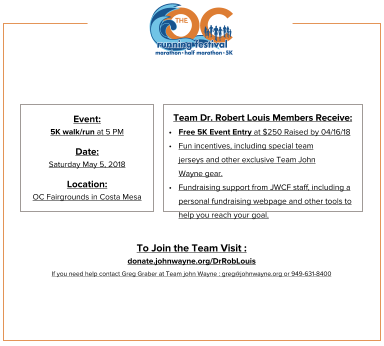 You’re invited to join TEAM Dr. Robert Louis for the 5K walk/run event and raise funds to support Dr. Louis’ and Hoag’s Skull Base and Pituitary Tumor Program. All funds raised by our team will specifically benefit the work of Dr. Louis- an alumni of the Surgical Oncology Fellowship Program at the John Wayne Cancer Institute, and as a John Wayne Alumni Fellow, his work continues to be supported by John Wayne Cancer Foundation research grants. 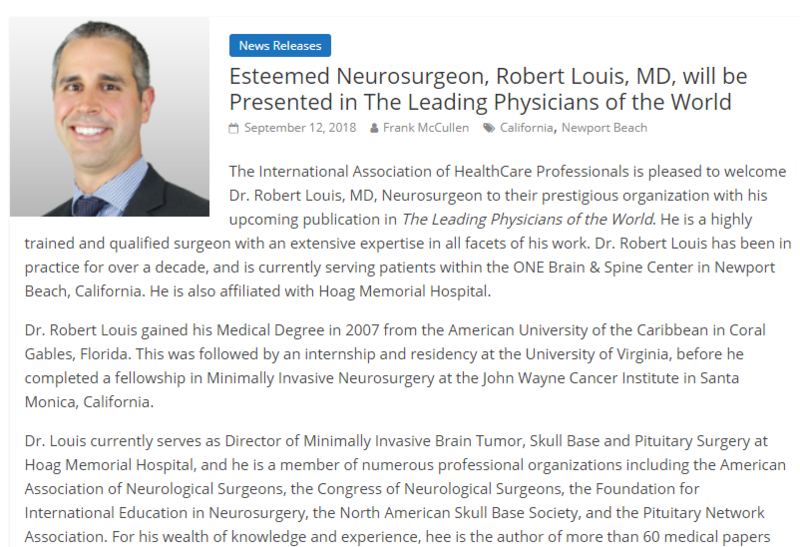 The International Association of HealthCare Professionals is pleased to welcome Dr. Robert Louis, MD, Neurosurgeon to their prestigious organization with his upcoming publication in The Leading Physicians of the World. 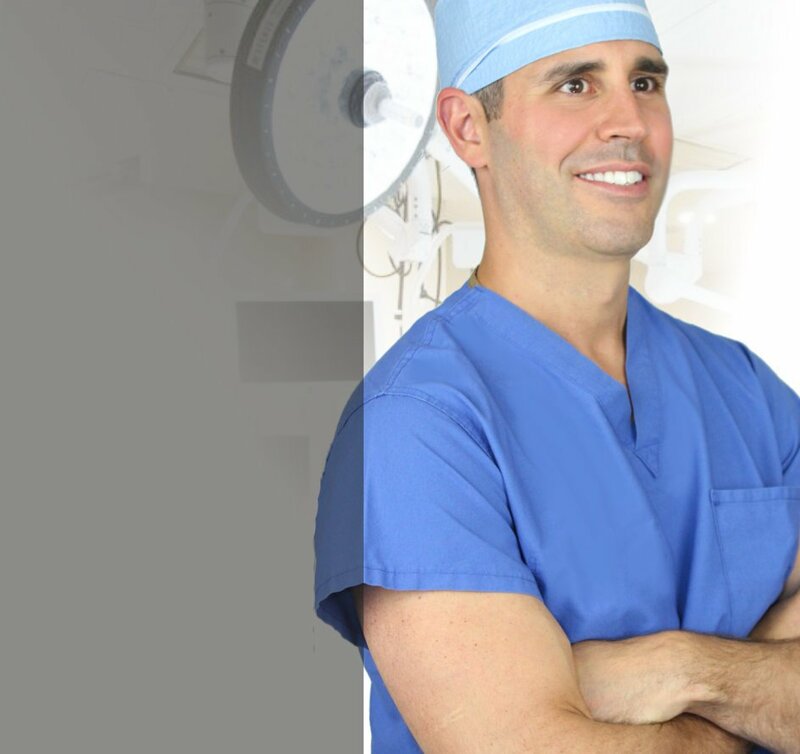 He is a highly trained and qualified surgeon with an extensive expertise in all facets of his work. 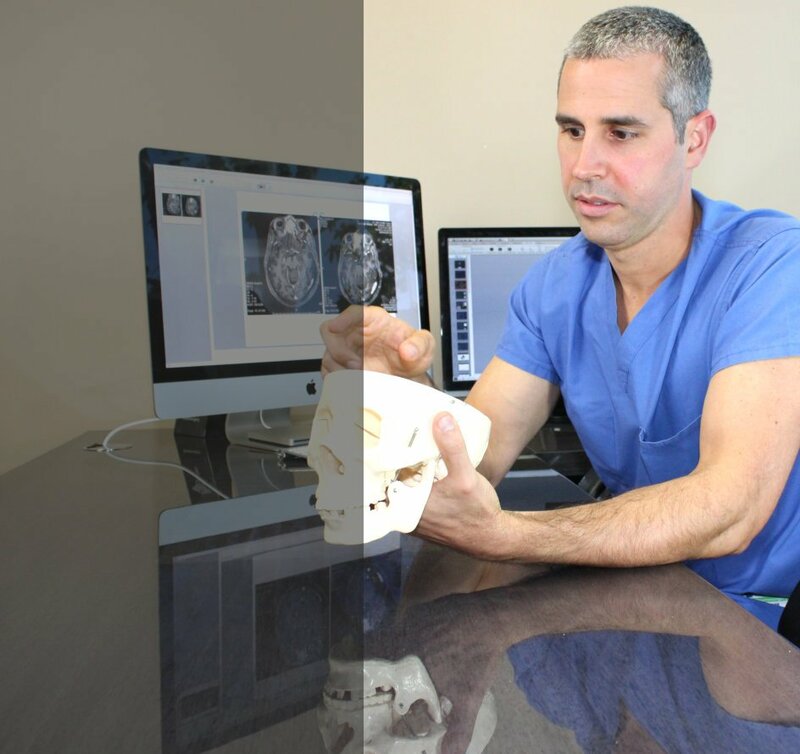 Dr. Robert Louis has been in practice for over a decade, and is currently serving patients within the The Brain & Spine Center. He is also affiliated with Hoag Memorial Hospital. 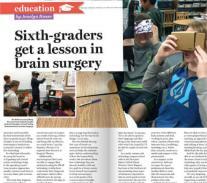 For the sixth-grade class at Davis Magnet School in Costa Mesa, the science lesson for the day means keeping textbooks and notebooks on the shelves while the students pull out virtual reality viewers by Google Cardboard and their smartphones preloaded with 3D videos found on YouTube. As they peer through the lenses, Dr. Robert Louis, program director of the Skull Base and Pituitary Tumor Program at Hoag Neurosciences Institute, guides them through the type of virtual reality “fly-through” he views prior to performing brain surgery on patients at Hoag Hospital Newport Beach. 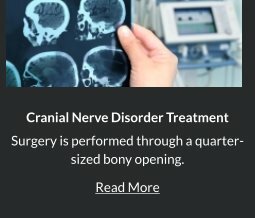 I had the best experience and best results with Dr. Louis and his staff. Dr. Louis is the most caring, thoughtful, considerate Neurosurgeon. 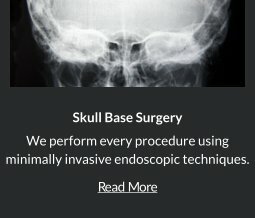 He takes a ‘patient first’ approach to care, providing sophisticated treatments based on the unique needs of each individual. I recommend him highly! 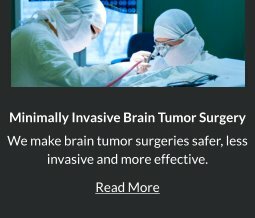 Minimally invasive endoscopic surgery is utilized by neurosurgeons. 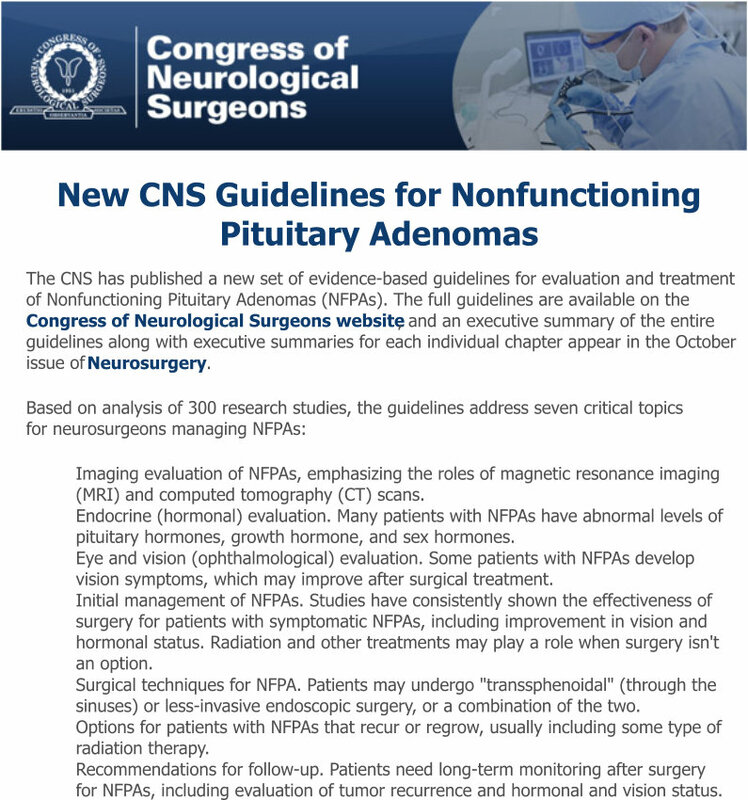 Techniques such as endoscopic endonasal surgery are used for pituitary tumors, craniopharyngiomas, chordomas, and the repair of cerebrospinal fluid leaks.